Johnson Amendment Is Limiting Our Free Speech And First Amendment Right: In this episode, we talk with Robert Bakke about the Johnson Amendment. What it is, why it’s unconstitutional, how to stop it, and so much more! Tune in now to hear! Chasing American Legends Use promo code WBL17 to receive 10% off your entire order! Welcome to the intersection of faith and the culture, this is WallBuilders Live! Where we’re talking about these hottest topics on policy, faith, and the culture, always looking at it from Biblical, historical, and constitutional perspective. We’re here with David Barton, America’s premiere historian and the founder of WallBuilders. Also, Tim Barton with us today national speaker, pastor, and president of WallBuilders. And my name’s Rick Green. I’m a former Texas state rep.
We appreciate you joining us and we encourage you to find out more about us at our websites WallBuildersLive.com. A full list of our stations to air the program there and also a lot of other great information. And then our main website WallBuilders.com, a wealth of information there as well. So, check out both of those websites. David, Tim, always looking at things from that Biblical and historical perspective. Today, our topic is definitely dealing with a historical perspective that has changed a constitutional right of free speech. I think most Americans would side with the idea of let people speak their mind even if you disagree. But that isn’t exactly how we’re operating right now when it comes to churches. Well, you think about free speech. If I asked you questions. If I said, for example, “Is there a legitimate restriction of free speech if you’re a Democrat?” In other words, if you’re a Democrat do you lose your right to free speech or Republican or Libertarian or any other party? If you’re part of a party, do you lose your right to free speech? And the answer is, no. My wife says, “Yes.” I am not allowed to speak freely. That’s because there is a dictatorship going on. That’s right, there is a communist government going on at home. I’m on the losing end. Well, yeah, you do. Why? On what basis? Because of your profession, you lose your right of free speech when no other group can lose the right of free speech. Just that one group can. It’s interesting, a pastor is also certainly targeted in a religious fashion now because it’s not just free speech, because we used to think of pastors up until the last couple of years of their restriction was that they couldn’t be political. But we’re redefining what even political means. Even biology is political now. Oh, exactly. And this is where now I would say that there is even some of this that is trickling down to some businesses and some schools. But the only speech that gets filtered or that gets censored is religious speech. Yeah, and it’s one of the things that even Trump has said, “This is crazy.” Trump has said, “We’re going to stop this.” He told several groups of pastors, “I’m going to stop that when I get in.” And he has taken moves to stop that. But some of the people that are most affected by it are, of course, pastors. So we’ve got a pastor today that we’re going to review. He has really pretty impressive credentials to look at what’s happening with this concept of pastors don’t have the same right of free speech that everybody else has. Yeah, I was amazed when I saw this guy’s resume, man: jet captain, aerobic flight instructor, black belt, Amazon number one best seller, race car driver, ski instructor, and a pastor. So that’s a high octane type pastor that you got there. His book actually talks about that with prayer as well. Robert Bakke is going to be our guest when we return. Stay with us here on WallBuilders Live. This is Tim Barton from WallBuilders with another moment from American history. Too often today history education excludes great black heroes from the American founding, such as Lemuel Haynes. Thanks for staying with us here on WallBuilders Live. Pastor Robert Bakke is with us. Thanks for being on, Sir. It’s my pleasure. Good morning to you, and good morning to all of your listeners. Man, it looks like you do some pretty exciting things: jet captain, aerobic flight instructor, black belt, bestselling author, race car driver, and ski instructor. Are you an adrenaline junkie? Well, I am. But really, what’s funny is every time someone reads my resume I grin because you know, Rick, I grew up and I know this is not why we’re talking today, but it needs to be stated. I grew up the skinniest little kid in my school. I was last in gym class every day. In college, somewhat out of frustration, I read the New Testament. I read it in two translations, the King James, and then an easier version. And it was amazing what happened to me. I saw all of these visions for my life. I was told to believe that through Christ all things were possible, and quite frankly, I was supposed to go out and prove it. And that became a great way to give testimony. And before you knew it every vision for my life that I had been given at that time, every one of which by the way, people told me I couldn’t accomplish. They were all being accomplished. Eventually, we got into car racing, NASCAR racing. We saw a variety of miracles happening around the car, you couldn’t explain it. And we wrote a book about it called, “Prayer at Full Throttle.” I encourage everybody to read it. It’s really a quick, easy little read. It’s a two-time number one Amazon bestseller and quite frankly, it’s given me the platform I have today to talk to you this morning and to speak into the lives of your listeners. The moral to that story is when God puts a call on your life, give him your hands and feet and walk right into it and wait till you see what he’s got planned for you. I love it. Well, I also love that the battle you’ve just taken on which is really going after the Johnson Amendment helping to educate people on where this came from and why it’s so bad for our culture and certainly for our churches. Tell us what got you interested in this. Well, I will tell you what got me interested. It evolved. I’ve always been out speaking and having the Christian flair. But my old speaking business was called RobertBakke.com And then what happens is when you write a number one best seller on the subject of prayer and miracles you’re a little speaking business and in this case, mine evolved into a full-blown ministry. So we began Robert Bakke Ministries. Of course, then people started asking me, “Would I go nonprofit? Was I considering a c3 certificate?” I didn’t really know much about it but I was told that if I do get a 501-C3 that I would no longer be able to include any political conversations in my presentations. I couldn’t go down that road and I wanted to know why. People told me the reason I couldn’t mention, for instance, a political platform – not verbally not even financially. Basically, give up part of your voice? Right. Well, there’s there’s two pieces. Again, it goes back to just being catapulted into this platform I have today which brought me on to your show. In fact, you’re in Texas and I was just down in Texas. I was at a ministers conference and this was amazing to me. During the conference breaks, one of which was the lunch break, we all sat around these round tables. It was about 10 preachers per table. And I was asking people what they thought about the Johnson Amendment. Did you know not one person I visited with even knew what the Johnson Amendment was? Yeah, these were pastors. So, when I associated it with the 501-c3 in the last of the tax exemption. The reason pastors don’t want to mention anything, your listeners need to understand this, when you provide your offerings, your tithes, and your offerings to your church you’re able to write that off as charitable giving. If the church or the pastor loses his 510-C3 you the person giving you’re offering, you yourself can no longer deduct that from your taxes. So the pastors fear that aside from their sales tax exemption and those kinds of things what they fear is their very congregants will go find another church where they can take their deduction. Therefore, if a pastor says, “I’m supporting this particular candidate,” the pastor fears that his congregants will leave and go somewhere else and the church will go broke. So that’s what keeps them shackled. But the question is, “Where did it come from?” This is what blew the pastors away at the conference down in Texas. Back in 1954, then Senator Lyndon Johnson, the same Lyndon Johnson who would become president, he was a city senator. He was the House minority leader and he ended up in a political battle, an election battle for his Senate seat against another Texan, a man named Dudley Dougherty. Some of the stories say that he was supported by one nonprofit, some of the information says there were two, it was 63 years ago I wasn’t born yet so it might have been one might have been two and I’ve got the names of both. But the point is, that Dudley Dougherty challenging Lyndon Johnson was supported by a nonprofit organization. So Lyndon Johnson in a brilliant and shrewd political move, over his Senate seat proposed a change in the tax code that would prohibit nonprofits from supporting political candidates. Now, what’s interesting is there was no record of any debate on this proposed change, and no churches and no pastors were even involved. But when Lyndon Johnson slid it through, which he did, it became law. When the law was what was stated it had waterfalled down to cover churches and pastors even though no churches and pastors were involved. And so suddenly, pastors and the church, the word of God itself was removed from our political process. And that to this day is why pastors are shackled. It’s been, first of all, for it to happen the way that it did just like you described, slipped it on as an amendment to the appropriations bill. Basically buried in there and now has become you know a sledgehammer against the church preventing them from being able to be involved. They literally are sending their sermons to the IRS and saying, “Come and get us if you really think this Johnson Amendment is going to be upheld.” And of course, they’re not, because they know it won’t be upheld. But they would rather have a couple of thousand speaking out. And the other 900,000 staying silent than to have it overturned. So the battle rages on. I’ve actually heard Trump is going after this and wants to get rid of the Johnson Amendment. So who knows what will happen this year. Well, I’m glad to see that Trump put it on his radar. In fact, I was floored. I heard him mention it twice during his campaigning. And I thought, “You know, this is amazing that he knows what this thing is.” Yeah. Just for curiosity, I actually read through the 501-c3 application itself and it’s really interesting to me. It not only challenges the applicant about whether or not they’re going to support a candidate, whether it’s verbally or financially. It also even challenges whether or not you will support any current or proposed legislation. Which is really interesting because even the opposition by its own letter of the 501-c3 applications. Like for me, if I want to challenge existing legislation, which would be the Johnson Amendment, I’m prohibited from that. I can’t even challenge legally the amendment. Well, that’s just absolutely ridiculous and it’s got to stop. Yeah, no doubt, no doubt. You know, we’ve been praying for years and working, lobbying, and encouraging legislators to do something about it. Guys, like you speaking out about it and educating these pastors and others about it, is absolutely critical. Because as you mentioned, even at that pastors’ conference those pastors not even knowing what it was that was keeping them from speaking out. It’s critical that we get people informed and get them to speak out on this issue. This year it could happen, and there are members of Congress that are working hard to make that happen. So folks at home, call your legislators and let them know that you want to get rid of the Johnson Amendment. And you mentioned the book Prayer at Full Throttle, other books available on that website as well, http://robertbakke.com. Thanks for coming on today. My pleasure! Thank you, Rick. Stay with us, folks. We’ll be right back with David and Tim Barton. If you ever wonder if it’s over for America. Can we restore those constitutional principles that made our nation great? Then we want to encourage you. We want to show you some evidence of how it can be done. We want to show you the evidence behind what made America great in the first place. And we want to have some fun while we’re doing it. It’s called Chasing American Legends. It’s our special television program that follows the Green family around the nation investigating myths and legends about America. And it’s amazing what we have found and what we’ve discovered. Dove Channel is now airing Chasing American Legends and we want you to check it out. We’ve got a link today at WallBuildersLive.com so you can find out more about Chasing American Legends, airing now on the Dove Channel. We’re going to take you and march with the minutemen for the re-enactment of April 19th, 1775. That shot heard around the world. Take you to investigate the battles that George Washington was in. Welcome back, thanks for staying with us here on WallBuilders Live! Thanks to Robert Bakke for joining us today as well. Back with David and Tim now. Guys, this is not a new issue for y’all. And David, how long has it been since the pulpit initiative started with ADF? I guess it was even maybe before ADF? So pastors are supposed to have more constitutional protections if you can have more than others do. Because they get it in several different categories. But we’re saying they have less even though the Constitution gives it to them. And by the way, we were talking before we talked to Robert about all the groups and how you can’t lose it. And he mentioned, for example, blacks and women. He was just pointing out this politically correct stuff that’s out there. So that’s what Robert is talking about when he talks about blacks and women’s and how you can’t discriminate in them. But now you can discriminate against Christians and that’s just not right. Not the way it’s supposed to be. It’s almost like we’re saying that your amount of free speech, that your First Amendment rights, instead of having more of them because you’re in these multiple categories, because of the label of being a pastor or a Christian you now have less rights. It’s the exact opposite of what it should be. And this isn’t just something that we’re just complaining about. This has a real impact because the pulpit, the pastors, the church, used to be the place where you really learned about truth and learned about, “Ok, I’m wondering about this issue that’s happening in the culture.” Everybody’s talking about maybe it’s this whole transgender thing. But man, we were doing the opposite by silencing the church. We’re silencing truth and we’re making it impossible for Christians to be able to figure out what they really believe about a particular topic that’s going on. But you can understand why. Because if you want to radically transform a culture and move it into a progressive direction away from the free market Judeo-Christian foundations that it has if you want to make it socialistic progressive, you need to stop the influencers. That doesn’t mean you stop the union guys from speaking, and it doesn’t mean you stop the teacher from speaking, and it doesn’t mean that you stop Blacks, or Spanish from speaking, it means you stop preachers from speaking. Because they’re the ones that are the anchor on your agenda. They’re the ones that have got a hold of those Judeo-Christian values and teach others to do so. And they’re the ones you’ve got to get shut up first off if you really want to change the culture. Because that’s a source of influence. Except right now, as Robert points out, pastors are limiting themselves. I mean we don’t even need the Johnson Amendment to do that. They’re doing it to themselves because as we pointed out Johnson Amendment really doesn’t keep them from speaking. And then let me also point out, as you’re mentioning the things moving towards socialism or progressivism and all these things where they move in that direction. The only way you can get a culture to go that direction is if the culture becomes secular. Because if you are a faith-based culture there are too many things where clearly the Bible teaches about individual responsibility. The Bible clearly teaches that we’re supposed to be productive and producers, and if you don’t work you don’t eat. But by the way, part of the way they’re supposed to help the poor and needy wasn’t to give the poor and the needy everything they wanted. But instead, it was creating an atmosphere or an environment where they had an opportunity to be able to survive. And so it wasn’t just handouts everywhere but even again that goes back to the role and the function of the church. It wasn’t the role of government. But, I will again point out that this is something that the Bible teaches. It is faith motivated and faith driven. So the only way you can become a socialist nation. The only way you can move this progressive era. We are going to talk about education or business. I mean, go across the board, the only way you can change those institutions is to make the nation secular and then you can move it away from those moral principles that are based on the Bible. Got to take a quick break. As we come back let’s talk tools for pastors that don’t want to be silenced anymore. Who they can go to and where they can get some great tools for that. Stay with us you’re listening to WallBuilders Live! Have you noticed the vacuum of leadership in America? It’s not just that we have a few bad leaders taking us away from our founding principles and leading us down a road of destruction. The real challenge is that we’re looking around for leaders of principle to step up and too often no one is there. This is a generational Challenge. And we must have a generational solution. God is raising up a generation of young leaders with a passion for impacting the world around them. They’re crying out for the mentorship and leadership training they need. And we need to equip them for the purpose God has laid on their hearts. Patriot Academy was created to meet that need. You, the listeners of Wallbuilders Live, have supported Patriot Academy over the years. You have sent your children and grandchildren to the program and the results have been remarkable. Patriot Academy graduates now serve in state capitals around America, in the halls of Congress, in business, in the film industry, in the pulpit, in every area of the culture. They’re leading effectively and impacting the world around them. Patriot Academy is now expanding across the nation and now is your chance to experience this life-changing week that trains champions to change the world. Visit PatriotAcademy.com for dates and locations. Our core program is still for young leaders 16 to 25 years old, but we also now have a citizen track for adults. So visit the website today to learn more. Help us fill the void of leadership in America. Join us in training champions to change the world at PatriotAcademy.com. But that’s one thing to say that. Pastors want to know that they’ve got somebody who is going to back them up on that. Well, there are several places to go. One is the Alliance Defending Freedom, http://www.adflegal.org. You mentioned Eric Stanley. That is SpeakUpMovement.org. They’ve got all the resources you need. Also, Liberty Council has an entire packet for pastors. The same with First Liberty https://firstliberty.org. I mean there is so much legal leeway that you have right now. Even under the hostile environment. I’ll get blessings if I obey him and I want that. Well, the reality is, you can do what God says and you can give that 10% back into God’s kingdom, back into the local church, back into those local ministries, you can tithe that 10% and then the Bible says that God will pour out a blessing on you and your store. So you can have a blessed 90% of your income. Or you can keep it all and not do what God said. And then the Bible says that a curse comes on your finances. So you can have a cursed 100 percent or a blessed 90 percent. And I don’t care if I get a tax deduction or not, I’m always giving 10 percent because I want God to bless the other 90 percent of my money. I don’t want 100 percent to be cursed. I’d rather have a blessed 90%. So I don’t tithe because the church needs it or because I don’t think they’re doing well with it or not. That’s not it at all. I tithe because that’s what God says to do because I want his blessings on my life because I want to obey him, and if we do that then pastors are not going to worry about whether I’m going to lose tithers by saying something that might be offensive. Get that out of their mind by doing the right thing and every Christian needs to be tithing. Absolutely. David, I’ll just add to the tithing part. We complain about, “We don’t want government doing everything.” Well, if we would do more in our giving to our local church, local ministries like you were saying, Tim, they would be able to again be the epicenter of a community and do those things and we wouldn’t have to call on government for so many things. Thanks for listening today folks! 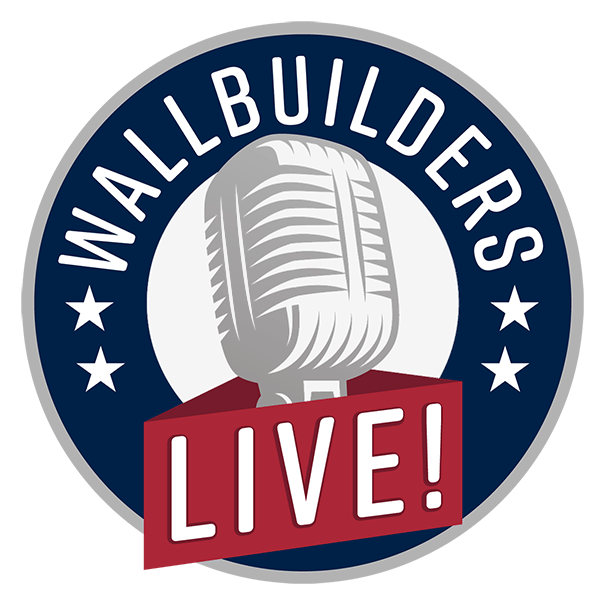 You’ve been listening to WallBuilders Live!